Acne or pimples are the last thing any girl wants to see on her face. Sometimes these may even leave scars on your skin. They look unpleasant and some are very embarrassed to have acne and pimples on their fac. They can be painful also. This can make the condition even worse. Acne is generally the result of clogged pores, glands and follicles. This condition is not dangerous, but you should treat them as soon s possible because it can leave permanent scars on your face. Have you tried a lot of products to treat acne but in vain? Then here is a solution for you. This is one of the most effective and inexpensive ways to treat acne. It is tomato. It helps you get rid of acne naturally. It is rich in Vitamin C, folic acid, and carotenoids. The antioxidant properties of tomato make it great for lightening the complexion. It also protects the skin from any damage. Tomato also has anti-aging properties. This properly helps in fading away the fine lines and wrinkles on your skin. Most of you may not be aware that tomato can help you treat acne and acne scars. Applying tomato on your face is one of the most effective ways to treat and get rid of acne. It is a rich source of vitamins. Vitamins help in regenerating the skin and balancing the pH levels of the skin. This way it prevents any further breakouts. Tomatoes also contain salicylic acid. This is one f the ingredients that is a part of most of the cosmetic products you get in the market. 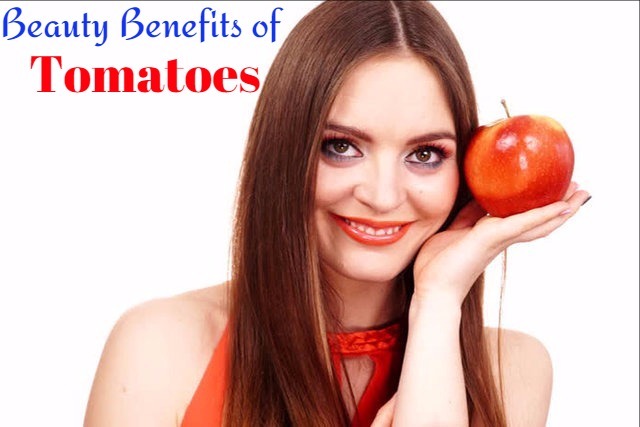 So, you can see that tomato is very beneficial for your skin. Let us see in which ways we can add this fruit to our beauty regimen ad make our skin look beautiful and glowing as never before. Take the pulp of tomato in a bowl and mix it with the oils. Mix well and apply this mixture on your face and neck. Keep it till it dries. Once the mask is dry, wash it off with cold water. You can apply this face mask once or twice a week. The oil present in the face mask is good for keeping the skin well hydrated and to prevent any infections n the skin. Make a pulp of tomato and take it in a bowl. Mix it well with yogurt. Now add the oats to the mixture and mix well. Make sure that there are no lumps in the pack. Apply the warm mixture on your face and neck. Wait for some time, till the face pack gets dry. After 10 to 15 minutes you can wash it off with cold water. As you wash, massage your face in circular motion. You may apply this face pack two times a week. Oatmeal is a good cleanser and helps in removing all blackheads and dead skin cells. Mix the two ingredients well and then apply this mixture on the affected areas. Leave it for 5 to 10 minutes, till it gets dry. Then you can rinse your face with water. Pat dry your skin and then apply a good quality moisturizer on your face. You can apply this face mask every day. Tomato pulp and lemon juice contain have ability to bleach your skin. This way they both help in lightening the dark spots. Mix both the ingredients well and apply this mixture under your eyes. Leave it for about 10 minutes and then wash it off with water. Apply this daily for getting quick results. Mix both the ingredients well and apply the mixture on your face and neck. Wait for about 10 minutes and then wash it off with cool water. Grind the tomato with curd in a blender to get a paste. Now apply this paste on the affected areas. Wait for 10 to 15 minutes so that the paste gets dry. The tomato packs mentioned above are suitable for all types of skin and work well for you. The best part of using tomato for your skin is that if you do not have enough time to prepare the face mask, you can just cut a tomato into two halves and rub it on your face and neck. Let it remain on your face for some time. This allows your skin to absorb the tomato juice. After a while you can rinse it off with water. Pat dry your skin and then apply a good quality moisturizer on your skin.